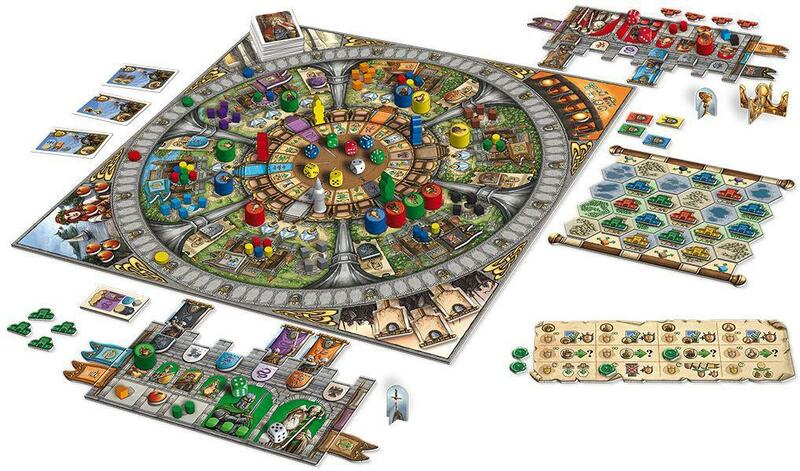 In merlin, players move their knights or Merlin with the help of dice around the action ring to get the most desired actions. 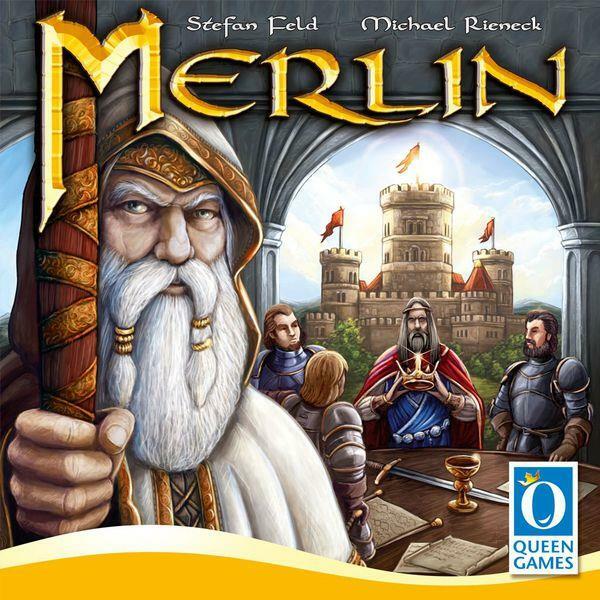 While the knights are only moved by the corresponding player, Merlin can be moved by all players, which makes integrating Merlin in one's plan a tricky endeavor. There are multiple ways to score victory points such as defeating barbarians, building manors in the surrounding area and increasing one's influence in the six counties. Additionally, players can fulfill task cards during their turn to get more victory points. The player who plans his actions most efficiently will ultimately have the most points and thus will be the royal successor of King Arthur.